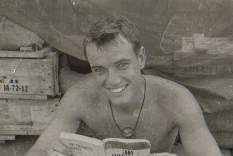 This is me in Vietnam in 1968. To read a poem, click on the title. Whose Guilt Is It Anyway? Why Can't I Write A Happy Poem?